Mardi Gras in the United States dates back to the late 1700s and was initially celebrated by French societies in Mobile and New Orleans. These celebrations spread as far as Florida and Texas. Today, each community celebrates Mardi Gras a little differently. 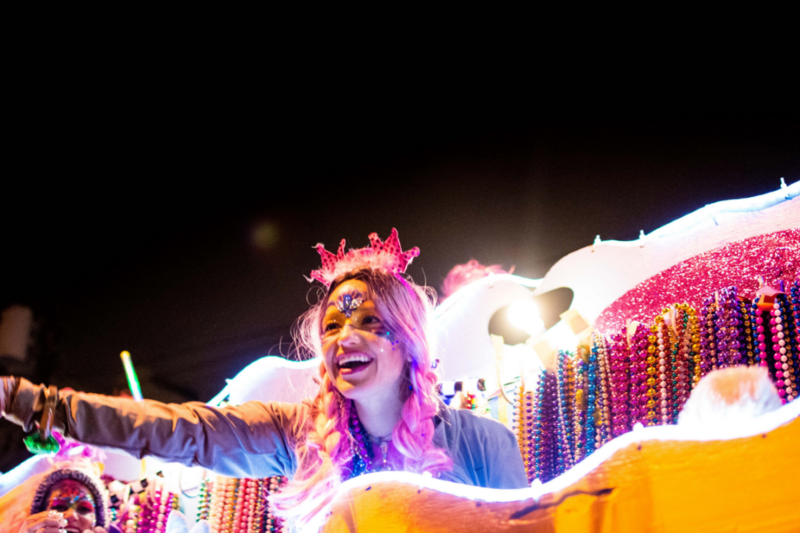 Lafayette’s Mardi Gras is family-friendly and features its own unique traditions, from delicious king cakes and elaborate parades to a wildly exciting chicken chase. Mardi Gras officially begins on the twelfth day of Christmas, when the three kings presented gifts to baby Jesus. Local bakeries start displaying king cakes, a pastry decorated in purple, green and gold to signify justice, faith, and power. Hidden inside each cake is a plastic baby, and the person who finds it must bring a king cake to the next party. For families wanting to take a king cake home, bakeries are happy to package them for travel or even ship them for you. 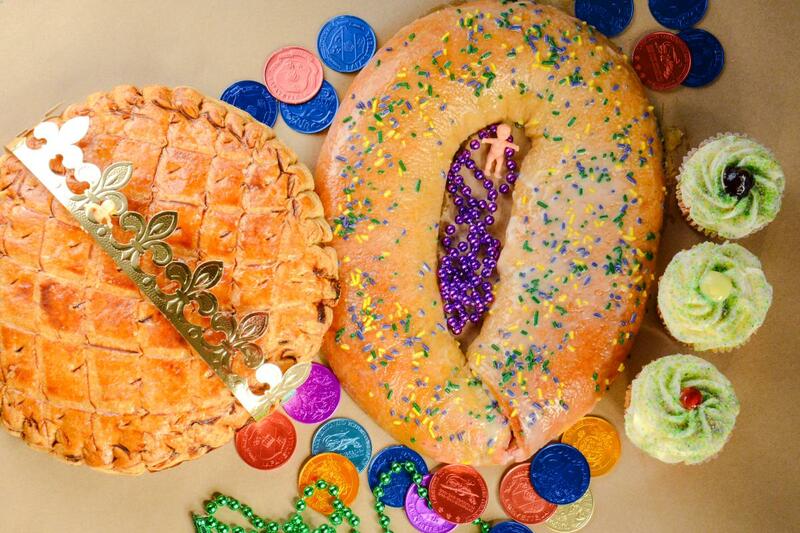 Click here for a list of king cakes in the area including those that ship out of state! 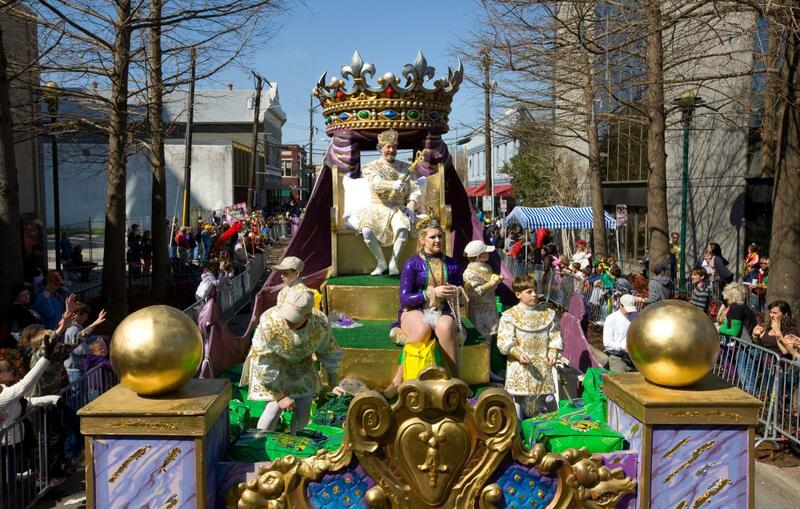 Mardi Gras parades in Lafayette will be in full swing the weekends of Feb. 22 and March 1. Lafayette’s massive parade route extends nearly five miles from downtown’s Jefferson Street up Johnston Street to the Cajundome. Some parades can last up to three hours! Families with small children may wish to catch the beginning of the parade in the downtown area near Jefferson Street. Those with older kids may enjoy staying up late to watch the end of the parade along Johnston Street and near the Cajundome. No matter where you’re standing along the barricade, you’ll be sure to fill your bags with toys, stuffed animals, candy, cups and lots of beads tossed by costumed krewes on colorful floats. Some families even bring wagons or camp chairs for a good place to rest as well as collect loot. The season culminates on March 5 when many schools and businesses close for Mardi Gras Day with all-day parades and Le Festival de Mardi Gras à Lafayette—a family-friendly carnival at the Cajundome. The festival, from March 1-5, includes live performances from Cajun bands, a selection of food vendors and thrilling midway rides. Admission is free, but tickets are required for the rides. You may park near the parade route along a side street free of charge, avoiding driveways and private property. Parking at the Cajundome and Cajun Field is $10, and other private lots near the parade route charge fees. The intersection of University Avenue and Johnston Street, along with the intersection of St. Mary Boulevard and Johnston Street, will remain open as crossover intersections until the parade is only several blocks from the location. The intersection of South College Road and Johnston Street will be restricted to travel south on College Road and west on Johnston Street during all parades. Uber and Lyft are widely available in Lafayette during Mardi Gras and maybe a stress-free option for visiting families unfamiliar with parking and traffic patterns. Families are welcome to arrive on the parade route early and bring their own food and beverages. If you’d rather dine out, here are some good bets for getting a bite before or after the parade—listed in order from the beginning of the parade route to the end. 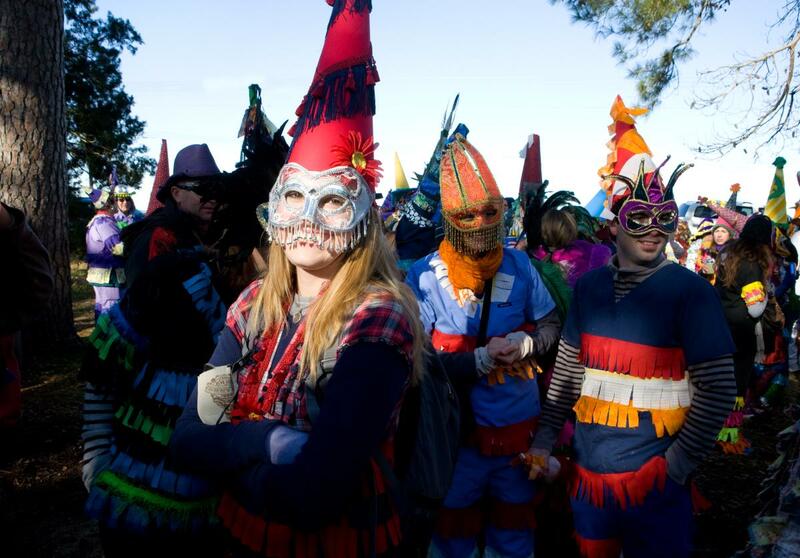 To experience Mardi Gras of centuries past, visitors can attend a traditional Courir de Mardi Gras, or Fat Tuesday Run. Reminiscent of Medieval beggars, revelers in old-fashioned costumes go door to door begging for ingredients to make a gumbo. Several nearby communities host a Mardi Gras run, such as Mamou, Eunice and Church Point. An excellent way for your family to experience a Courir de Mardi Gras is on Feb. 24 at the historic village of Vermilionville. After the revelers get all their ingredients for a gumbo, they let a chicken loose while children scramble to catch it. The grand prize is a trophy—and plenty of bragging rights back home. Click here for a list of Mardi Gras parades and events in Lafayette Parish. 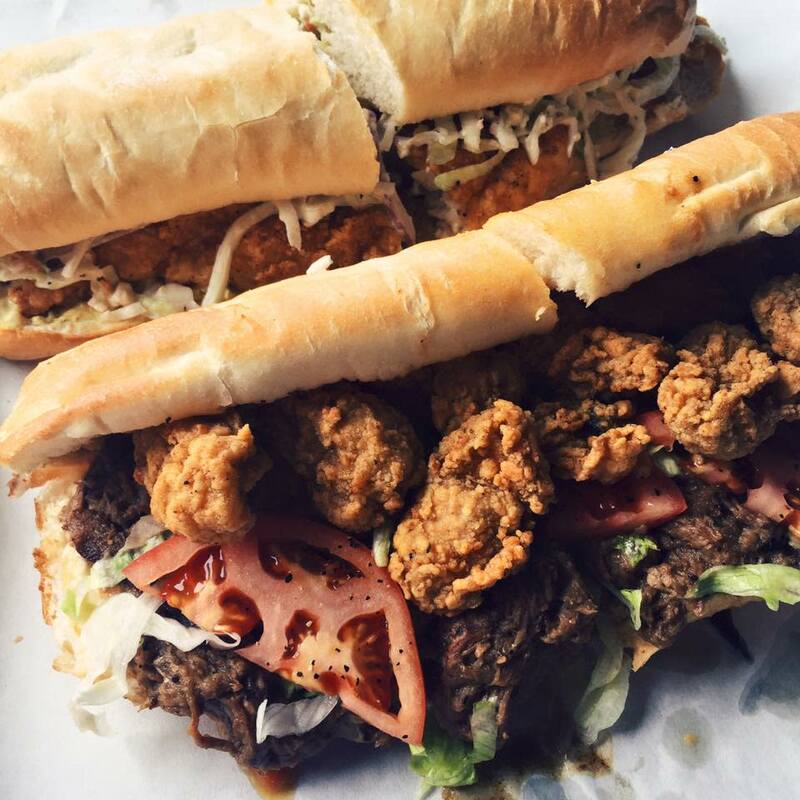 As we say here in Acadiana, Laissez les bon temps rouler! Let the good times roll!